It is hard to believe but 2017 will mark the 11th year for Comfort Quilters serving the Lord with its quilting ministry. Some faces have changed but their goal is still the same. They want to bring warm hugs to anyone who needs one. 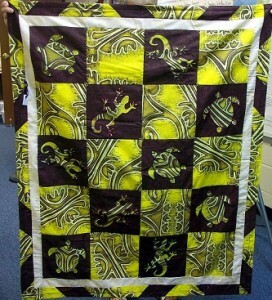 Currently there are 10 ladies who work diligently at their sewing machines at home. 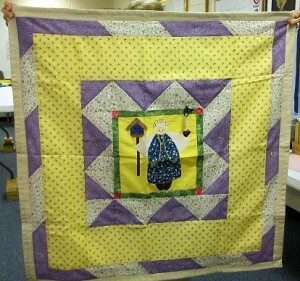 They are armed with kits of fabric pieces and shapes and with directions on how to put them together to produce a quilt top. Some ladies finish one top a week, some do more. Monday mornings find them gathering with the fruits of their labor. What fun they have admiring the final results. They discuss what new techniques they have conquered and some that may have given them a bit of a problem. They call this part of their gathering their “Show and Tell”. Then they start constructing the final 3 layers of their quilts, pinning and folding hems, which will be sewn down. 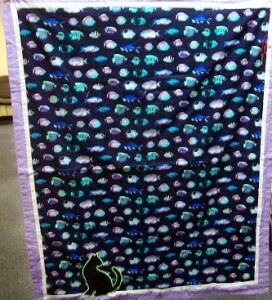 After that is completed, it is time to tie the three layers together with colorful embroidery floss. They often complete this at their sessions but sometimes members take them home to finish. At the end of 2016 they estimate around 2,200 warm hugs from the colorful comfort quilts to people in need and new babies. 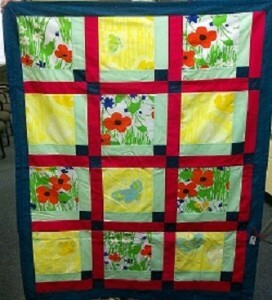 Each quilt is labeled with a blessing from God and well wishes from the Comfort Quilters. All this and the fact that they work on a zero budget and depend on monetary donations and gifts of fabric, which the Lord provides as the need arises, makes them feel truly like they are doing what they are called to be doing in His name. Beneficiaries of this outreach ministry are the Coastal Cancer Center, Horry County Family Outreach, Fresenius Medical Care (Dialysis center), Magnolia OB/GYN, Mercy Care Hospice and Embrace Hospice. 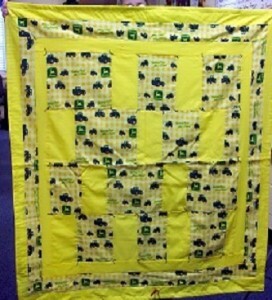 Helping Hand of North Myrtle Beach holds a special place with the group who sends quilts as often as possible, as they, Helping Hand, supply the group with clean sheets that have been donated by area hotels. 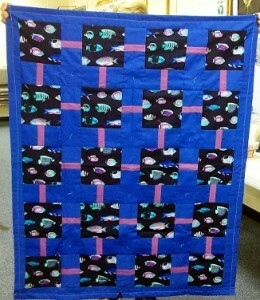 These sheets become the center layer of the quilts to provide warmth as the cost of fluffy batting would keep the group from providing so many finished quilts. 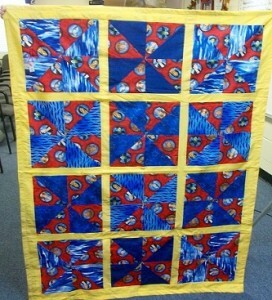 The First Baptist prayer group also works with the quilters to make them aware of individuals in need. Now, after all these years, we have folks from the community who let us know when someone we may not be aware of is also in need. 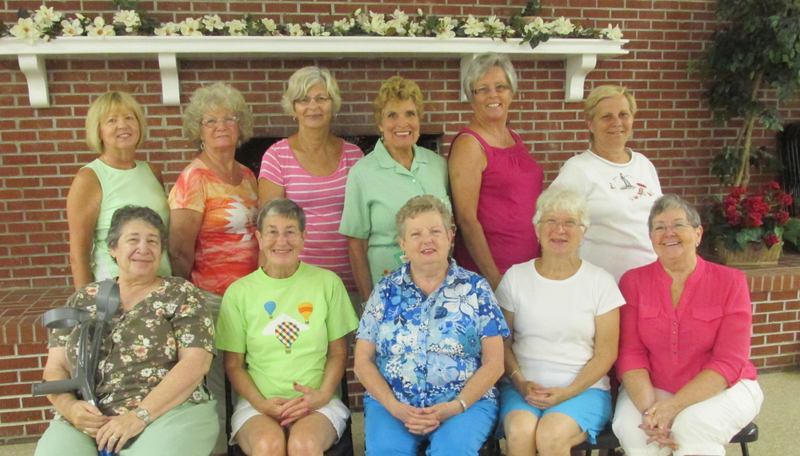 When you visit our church plan to stop by and say hello to these dedicated ladies. If you want to lend a hand they would love to have you do so. The diverse group is made up of ladies from First Baptist, the community, and other churches. The Comfort Quilters hope to bring happiness to those in need but they also gain happiness by sharpening their skills as they do the Lord’s work in the name of First Baptist Church North Myrtle Beach. 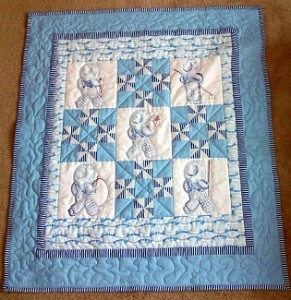 Below are a few photos of our finished quilts for men, women, children and babies. 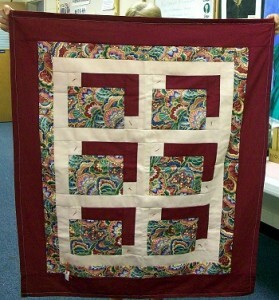 No two quilts are alike.